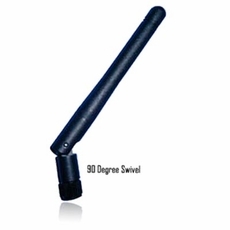 This Dual-Band Cellular antenna covers both the GSM and CDMA frequency bands for North America. It has a standard-polarity male SMA connector which mates with the standard SMA on most cell modems and hardware. The gain of 2 dBi will allow you to get reception in many locations even if the modem is not placed in an ideal location.